As corporate dependence on IT solutions continues to grow in the early 21st century, demand for reliable, cost effective disaster recovery data centers is expected to be one of the major growth markets for server and networking suppliers in their search for business continuity solutions in the event of unforeseen disaster striking. Disaster recovery has taken on more urgency with the growth of computer use within global corporations, and uptake in developing nations. Recent tragedies such as 9/11, North-Eastern power blackouts, or the Asian tsunami underscore how vulnerable networks are to disruption, so emphasis on securing data has taken on new importance. Major server suppliers are now redirecting efforts toward dedicated disaster recovery data centers using real time synchronization of data between geographically diverse servers and data storage networks. A range of disaster recovery solutions such as portable container sized data centers and larger campus style data centers are now being built and designed. Disaster recovery data centers have the distinct advantage of outsourced equipment and infrastructure which is costly to duplicate, and economies of scale become attractive when many hundreds of thousand servers are located in shared facilities rather than leasing a separate building and constructing redundant systems that otherwise may not be used. With advances in network speeds and topology, and the advent of cloud computing, real time synchronization of data has become feasible for corporations operating across national boundaries, in fact, it is now feasible to locate disaster recovery data centers intercontinentally offering major security advantages for corporations based in unstable or developing markets. Cloud computing with respect to disaster recovery now allows almost instant recovery measured in seconds and minutes compared to previously attainable recovery times of hours or days for the most technologically competent corporations. 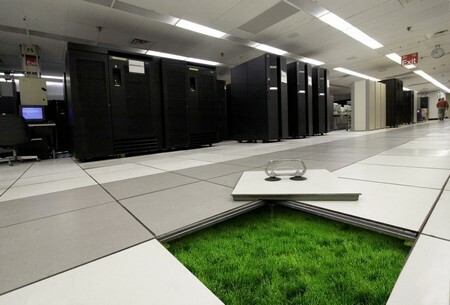 Data centers are specialized complexes, capable of providing sufficient independent power for hours or days while outside services are restored, exactly the type of security that isn’t possible for most small to mid sized corporations, and even large national corporations may struggle to budget for such disaster recovery expense, so outsourcing server management is in many cases the only option. The downside of outsourcing to a separate disaster recovery data center comes down to trust, especially if the center owner is a different corporation from the one sub-contracted to provide networking services. The big five server manufacturers all provide data centers for disaster recovery, some as part of their regular server farm offerings, others in dedicated centers that are completely separate. The rationale for separate separate disaster recovery data centers being more need for security which regular data centers may not be able to provide given the number of personnel with access to servers. Whilst the theory may seem overrated, certainly some of the largest research universities and financial institutions have committed to dedicated data centers for the security they afford. The major owners of disaster recovery data centers are now, and have been for several years, undertaking security investigations into key staff before appointment to the data center, and this should be a mandatory requirement for corporations considering outsourced backup in dedicated disaster recovery data centers.